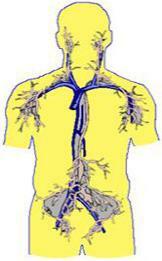 The Lymphatic System Is The Building Block of The Entire Immune System. blockages to be the cause of all suffering and disease. specifically to remove the blockages in the Lymphatic System. technique is simple, effective, and pleasant. Results are always evident from the very first application.